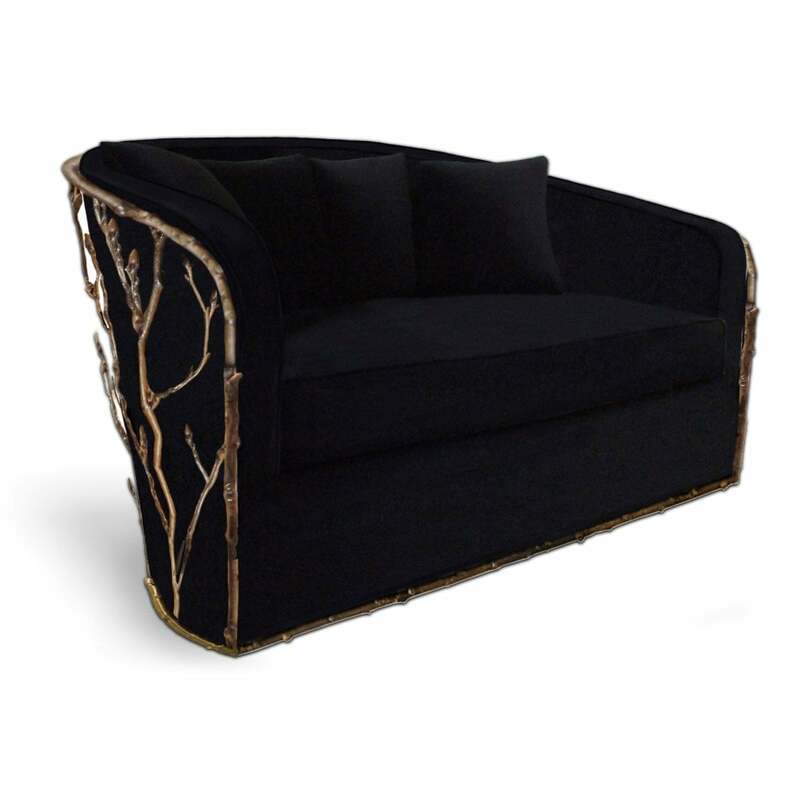 Our artisans have masterfully captured the alluring essence of an enchanted forest with this sofa. Its antique gilded branch like structure can't help but mesmerize the beholder. Seat Cushion: KOKET Fabric Collection; or COM/COL (POA). Base: Cast brass with oxidized gold-plated. Pillows: 4 pillows included. Upholstery: Priced for Koket's Cat A Fabric Collection (other options available). Base: Cast brass with oxidized gold-plated.